What game do you provide discerning soccer fans in their custom game room? 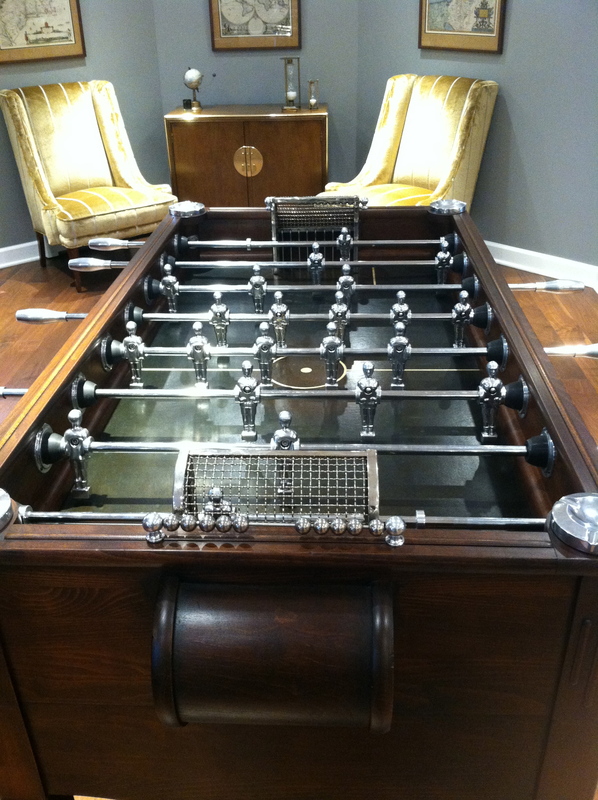 A handmade German leather, chrome and walnut Foosball table, that’s what! Alongside, a classic Mid-Century seating area fitted with re-uphostered Dunbar chairs and a Baker cabinet. We also arranged for more seating, TVs, gaming consoles, and integrated sound & lighting systems to modernize the space. 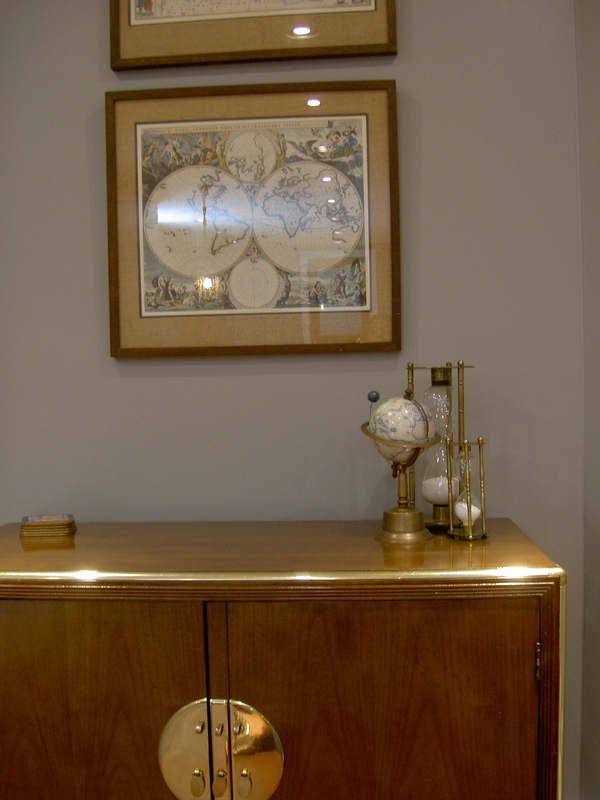 Vintage globe, hourglass & maps complete the picture for a unique and sophisticated gaming experience.